Day 22 of our December of Giveaways! Last day! 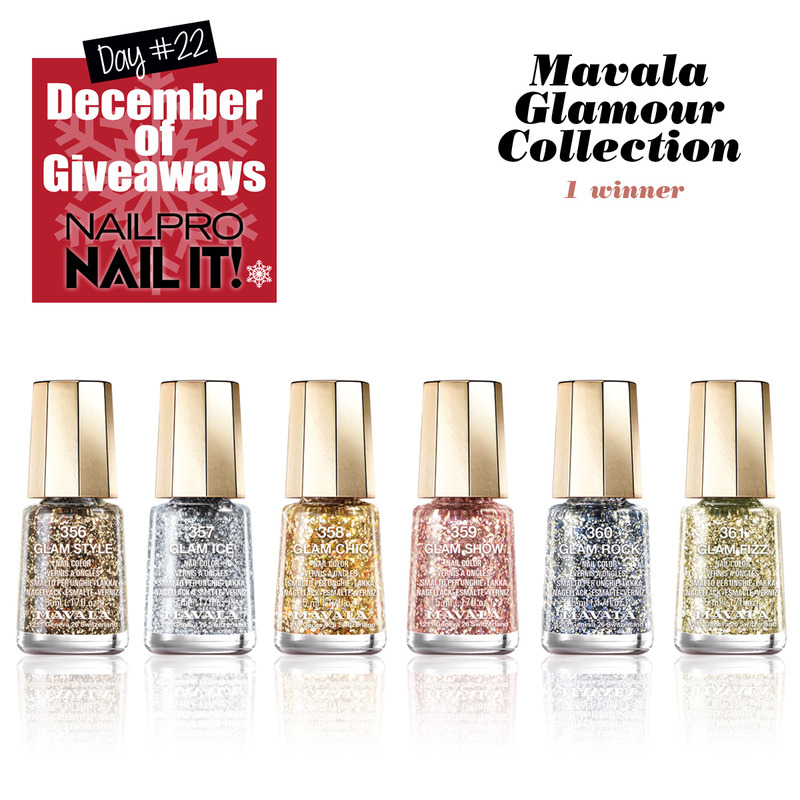 1 winner will score the ultra-glittery Mavala Glamour Collection! Colors include: Glam Style, Glam Ice, Glam Chic, Glam Show, Glam Rock, and Glam Fizz – all in 5mL bottles. Opens Dec. 31 and ends January 1, 2015 at midnight PST. By entering, you consent to the Contest Rules. This giveaway has ended! Our winner is… Crystal Z. of Kansas City, KS! Visit our December of Giveaways for the most recent giveaway.